AS THE gardening season comes around once again, an Eshaness woman is encouraging local people to share their seeds to help them grow a crop of thoroughbred plants and vegetables for Shetland. On Saturday afternoon between 2 and 4pm Aurore Whitworth will host a seed swapping event in the Radio Room at Lerwick’s Islesburgh community centre. She hopes the event will transmit the message of how important it is to cultivate and share seeds that will grow crops that are resilient to the Shetland climate. 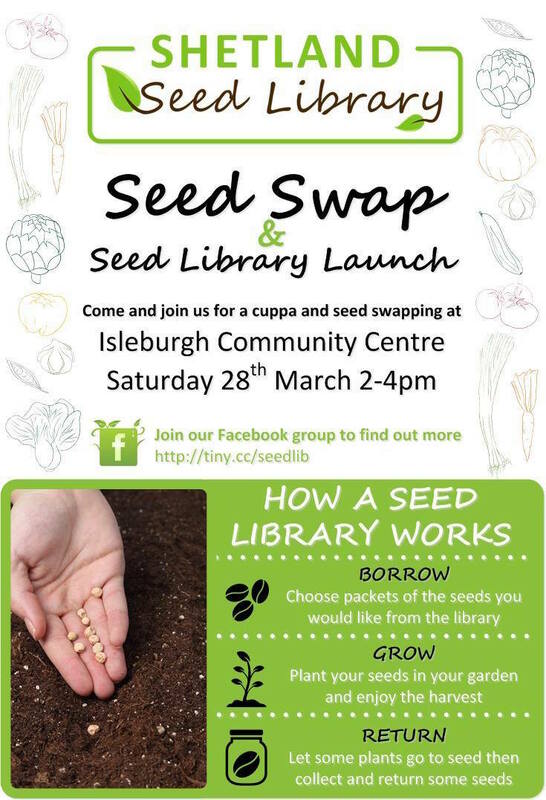 It will also mark the launch of a longer term Shetland Seed Library based at the public library in Lerwick, where a box of seeds will be on display in the foyer for people to “borrow”. “People can borrow seeds and then when the plants that grow from them produce their own seeds they can return them later in the year,” Whitworth explained. Saturday’s event will be informal with tea, coffee, biscuits and homebakes “for the early birds”. There will also be 60 packets of seeds that have been donated by the Heritage Seed Library, based at Ryton, in Coventry. Whitworth stressed that only heirloom seeds could be handed in to the library rather than hybrids, as with these “you can’t be sure of what you will get next year”. “I want people to realise how important it is to save seeds, because if you control your seeds you control your sustenance,” she said. There is a Facebook page dedicated to the Shetland Seed Library where people can find more information.